The ‘last gasp’ hope for the smart grid industry is now to ‘sell’ these so-called ‘smart’ meters to the general population by claiming that time-of-use (TOU) rates will somehow help the consumer save money and be ‘green’ for the environment. Just envision a used car salesperson trying to sell you a ‘lemon’ to gain a better perspective on the nature of this fraudulent marketing scheme. According to the conclusions of the Bremen University research team, the massive deployment of smart meters is a scheme that “has not been thought out thoroughly.” That remains an understatement. Here is an idea. 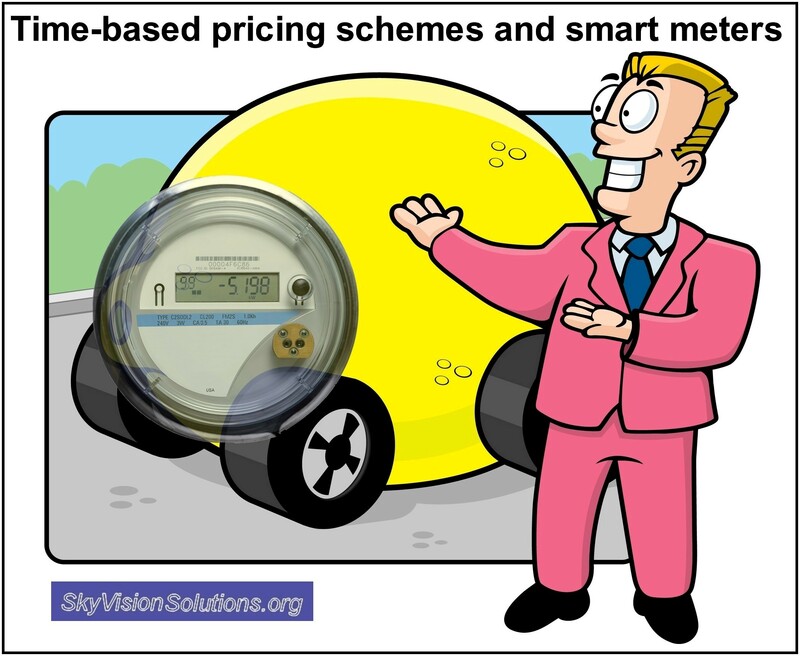 What we need is a “Lemon Law” to protect us against the costs and risks associated with smart meters sold to us by smart grid industry representatives (and colluding organizations) who are looking to make fast money at the expense of consumers. “President Obama Touts ‘Smart Meters’ at Clean Energy Summit”; refer to section on New Study Results on Whether Providing Energy Usage Information to the Consumer Reduces Electricity Consumption. Video of Patty Durand, Executive Director for the Smart Grid Consumer Collaborative (SGCC), March 2015, Energy Thought Summit, ETS15. ‘Smart’ Meters Have Failed and Were a Dumb Investment”; refer to section on Warnings from the UK, Canada, and Australia on Costs, regarding Ontario smart meter program. This entry was posted in Smart Grid, Smart Meters, and RF Emissions and tagged Costs, Government Waste, Lemons, Propaganda, Research Results, Smart Meters. Bookmark the permalink. Robagaco reads like someone still in thrall to what they mistakenly perceive as “ghee whiz” technology. And even if Robagaco’s imagined “smart” grid efficiencies were real, they would not be worth the toll to human (and other creatures’) health that the “smart” grid takes. While this article, in general terms, does point out certain worrisome points regarding the current deployment and implementation of Smart Meters (including privacy and cyber security issues). But it also lacks important technical aspects that should be included. 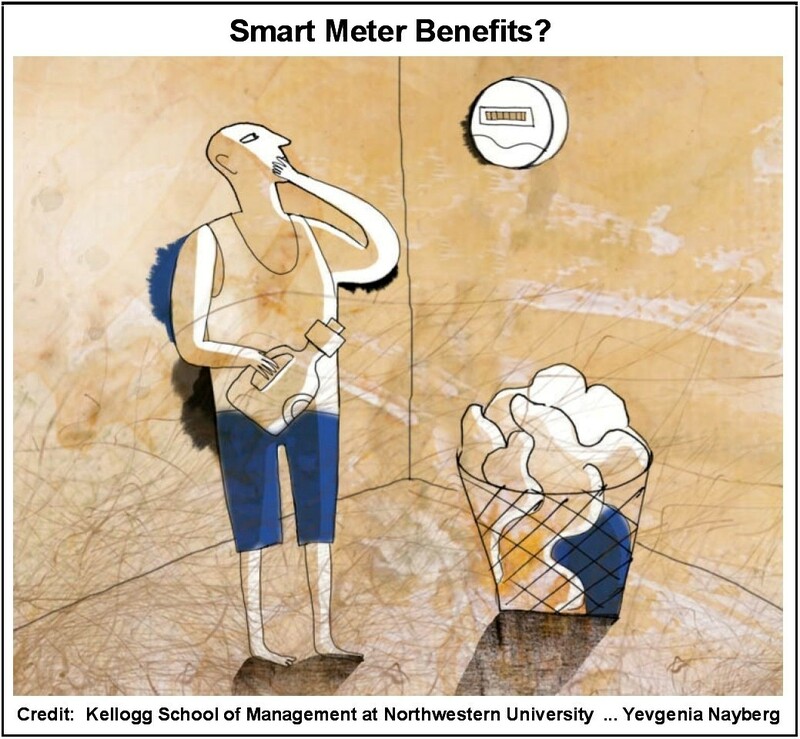 To say that “Consumers and Environment (are) Unlikely to Benefit from Smart Meters…” is incorrect. Utilities invest millions in grid monitoring, maintenance and repair. They do so by acquiring precise sofisticated monitoring equipment, investing in a number of budgeted man-hours for preventive maintenance and repair, costing inventories of replacement equipment to repair malfunctions and blackouts, plus the absorbed losses in the time where electric power was not available to the consumer. It is also a fact that certain Meter Manufacturers are adding power quality monitoring features to their meters that were previously unavailable to utilities beyond independent specialized power monitoring equipment. Certain Smart Meters can now alert the utility of unwanted electrical grid phenomena that costs millions of dollars to a utility, and truth be told, it may result in being in a competitive cost-effective manner. Certain meter manufacturers claim that their meters can be equipped with threshold limits with regards to voltage sags and swells, plus both the grid’s circuit and consumer’s end-load harmonics. Recently in 2014, IEEE revised its standard “Recommended Practice and Requirements for Harmonic Control in Electric Power Systems” setting even more stringent limits, plus enfasizing in what would be both the utilities’ and the consumer’s responsibilities. It is no secret that ANSI’s “American National Standard for Electricity Meters— 0.2 and 0.5 Accuracy Classes” is also going through revision to state precision limits for harmonic loads metering. Why is this happening? Because consumer end-load harmonics are creating problems within the electric grid, affecting both the overal maintenance of the circuit, affecting other consumer’s electrical service and reliability, and adding up to the utilities’ technical loses with regards to customer unmeasured non-linear (harmonic) power in kWh meters. Reducing the effect of harmonic content alone benefits the consumer and environment, in being billed less for unmeasured harmonics as part of the utilities’ “natural” technical losses, and by improving electrical service reliability and reducing the utilities’ maintenance and repair costs (which also means Power Plants don’t have to burn more fuel to sell less power (and yes, that does happen). Should utilities take advantage of those features, their operational and maintenance costs could be greatly reduced. Whether or not the consumer will receive the “trickle-down” benefits is up to state policy, whether or not the state regulates the amount of profit the investors are entitled to. I fear that in states where the distribution and commercialization of electric power were to be unregulated, the economy gained through such power system monitoring might go directly to shareholders instead of consumers. But that is both a political and civic action issue, that consumers have both the right and responsibilty to oversee and uphold. It is recognized that the electric grid needs to be modernized. What needs to be done is evaluate what needs to be done to modernize the electric grid in terms of improvements and added functionality. The result of such an evaluation will likely result in a conclusion that ‘smart meters for all’ doesn’t make economic sense and introduces additional unnecessary risks. Some evaluations such as in Germany have shown that smart meters and time-of-use rates, etc., will only benefit large consumers. Grid improvements such as having additional power quality and voltage monitoring can effectively be performed on a neighborhood basis without the need of an advanced meter on each home. In the rush to install smart meters we have also wasted considerable resources where perfectly good non-smart meters (whether they be analog or non-smart digital meters) are being scrapped without having realized anywhere near their expected lifetimes. Anyway, I agree that the issue of effectively modernizing the electric grid is complex. Unfortunately, the smart grid industry and governments have mostly taken a simplistic approach that will not accomplish the necessary objectives and will introduce unnecessary risks and costs to the consumer. Thank you for your answer. I believe there are a few misconceptions that need to be cleared out. To do so, I will first answer to your last paragraph (1). Then I shall answer the first (2), then the third (3) and lastly your second paragraph (4). (1) I initially agree with the premise of your last paragraph, the approach towards an efficient Automated Metering Infrastructure (AMI) taken by both utility and government sectors have been simplistic. Painstakingly so. But I lack the case-to-case data to say that the efforts will not accomplish the necessary objectives. Some U.S. States are faring better than others, with the implementation of this new technology (with all the hurdles that new technology implies) a notable few are setting examples that everyone should pay attention to. Plus I’d need you to define ‘unnecessary risks and costs to the consumer’. I ask such because, we need to be careful when we talk about risks, such as privacy and cybersecurity issues. A standard utility contract involves proof of residence, proof of citizenship or legal residence, a security bond payment, adequate building permits and a certified residential/commercial electrical certification, etc. Such personal information is stored in the utility’s electronic and physical archives. If it’s stored electronically, then the hacking risks will be available. If it’s stored physically, then there is the risk of actual theft of documents. This is standard. Some utilities require less to grant electric power service, others may require more. When considering Smart Meters, should the utility have all the aforementioned information tied to the AMI, then I can understand, relate, and echo public concern. Especially when the meters’ communication protocol is wireless. Wireless communication can be highly vulnerable to interception and the world has a myriad of specialist that may break software security and decrypt the data. In the cases where Portable Line Carrier (PLC) communication technology is employed, the risk is exponentially reduced for would-be hackers, for they would have to physically connect their equipment to the energized power lines in order to access the meters data. That, however, is unlikely due to the obvious dangers and limited equipment. 2. With regards to your first paragraph, I agree with the ‘cart before the horse’ premise but it has to be set within the appropiate context. I know of no technology being put to widespread use if it did not actually “fill-a-need”. And that leads us to Smart Meterings humble origins: Automated Meter Reading (AMR). In order to reduce both field and office personnel costs, along with the time-consuming bureaucracy, utilities began to look at AMR systems to be more cost efficient in their meter consumption and billing. That way they’d reduce both personnel cost and human error plus the time it took to physically report consumption, get it into the data system and have it analyzed (which overall could take weeks). The victory, in some parts, was short-lived. Casting aside technical errors that would lead to automated billing estimation, you had to include the illegal meter and site tampering that arose (due to the lack having eyes on the field). Some states fared better than others due to state and corporate policy. Yet those states where the kWh was higher than the mean, were fated to suffer worst. So very early in the process (+Y2K), the analog meters were beginning to be equipped with AMR modules programmed with registers that would detail certain key information (power outs/outages, reverse energy flow, tampering and diagnostics registers, apart from standard kWh, kW, KVA, etc.). When the lack of a proper automated metering infrastructure costs you two-digit million dollars a year, you fill-a-need. Still, a decade ago the servers had to be programmed to interrogate those fields specifically. Too much data for such a limited infrastructure, and too costly to apply. Technology has been building up to what we have now, and it all points out that it gets better, but it is our job as responsible consumers to make sure private consumer information is kept safe and hands-off of unauthorized eyes. Yet that involves both corporate and state policy, with the ever appropriate civic watch. 3. Whilst I lack the data to debate the German reports you refer to, for I have no access to them, I can correct a few misconceptions within that paragraph. Firstly, you are correct that certain power quality and voltage monitoring may be performed without the need of having an advanced meter on each home. Yet such asseveration is incomplete, especially since electrical standards are becoming more stringent with regards to harmonic control, so lastly the asseveration is incorrect. Consumer-end harmonic monitoring can only be measured by consumer-specific current consumption, not overall system voltage. The most cost effective method is having the utility’s electronic meter monitor whenever the client surpasses the programmed threshold. The other way would be to place power monitoring equipment on every single home. We have physics to blame for that. For over a decade, EEI, ANSI, and other electrical standard publications have pointed out that analog meters under-register modern electronic loads. For some loads it may rise up to 8% of under-registry, whilst modern solid state electronic meters may under-register approximately 1%. Multiply that 5-8% by a monthly mean consumption of 600kWh per home, multiplied by a million homes, and you have a LOT of power that may be under-registered. Those technical loses are usually passed down to all the clients. Is that fair? If I have more efficient equipment, should I pay for the millions (including successful businesses) who don’t? We know the answer to that. Solid state electronic meters are in some cases even cheaper than analog meters. Analog metering lived it’s purpose till the 70’s, yet after that, with the surplus of electronic technology they no longer offer the precision and justice that overall consumers deserve. They have to be replaced, or we will all pay for that under-registered energy. Now going back to electronic meters, they are now being manufactured with the aforementioned specific features that, should the utility use them, would result in savings for the utility. 4. Lastly, with regards to your second paragraph and taking into consideration what I previously pointed out from 1-3, a utility has the right to know the clients consumption patterns. Who is spending to supply that power? If a utility had solid knowledge of consumption patterns, wouldn’t it be able to better regulate power generation and save money that SHOULD ultimately benefit the consumer? Granted that could be performed with other equipment. But advanced meters, that are becoming more cost effective by the second, are already being manufactured with many of those features. Duplicity of equipment that performs the same function is not cost-effective, and as a result more expensive to the consumer (equipment, labor hours, etc). There is no way around it, advanced meters are the most cost-efficient way to “modernize the electric grid in terms of improvements and added functionality”. There are risks, as mentioned before. But that involves appropriate civil action to ensure both corporate and state policy upholds adequate privacy and security standards. I conclude, Smart Metering can and will benefit consumers as long as it benefits by lowering technical operational and maintenance costs to the utility, but only if corporate and state policy ensures it happens. For that you need a citizen’s watch, and that is another story altogether. Regarding the German study, you can find the information in the link I provide below. The quote I usually use is that: “The study shows that the costs of a smart metering system clearly exceed the average potential savings for final consumers with low annual consumption levels. It would therefore be disproportionate and economically unreasonable to require all consumers to install such meters.” Reference: German Federal Ministry for Economics and Technology, English press release regarding the Ernst & Young study of smart metering (2013). http://www.bmwi.de/EN/Press/press-releases,did=588354.html. In the study a low annual consumer threshold was set at less than 6,000 kWhrs. Just a couple of days ago, there was a release by the Victoria auditor-general in Australia indicating no overall benefit to consumers for smart meters. Any future benefits are speculative and I wrote an article on this at: https://smartgridawareness.org/2015/09/16/smart-meters-giving-victorian-consumers-no-benefit/. There is no evidence of any significant “trickle-down” benefits to consumer, and one can study the report to conclude this. The UK program has been called a potential “IT disaster” and additional information can be found at: https://smartgridawareness.org/2015/07/02/uk-smart-meter-scheme-sinks/. – Additional Costs of Implementing Smart Metering: Note that: The installation of about 4.8 million smart meters in Ontario rendered millions of conventional analog meters obsolete, making it necessary to retire and dispose of them sooner than planned. The distribution companies we consulted said the analog meters they had to scrap were still in good shape and could have been used for another five to 16 more years. In the U.S. one would need to go utility by utility or state by state but one good indicator is where “Texas has nearly seven million smart meters deployed, but according to the most recently available published data: Only 30,000 customers log in each month to Smart Meter Texas to obtain consumption information. That’s less than ½ of one percent.” So clearly smart meters should not be advertised as devices being deployed for the consumer benefit. What a waste of money for consumers to have to pay for this infrastructure. 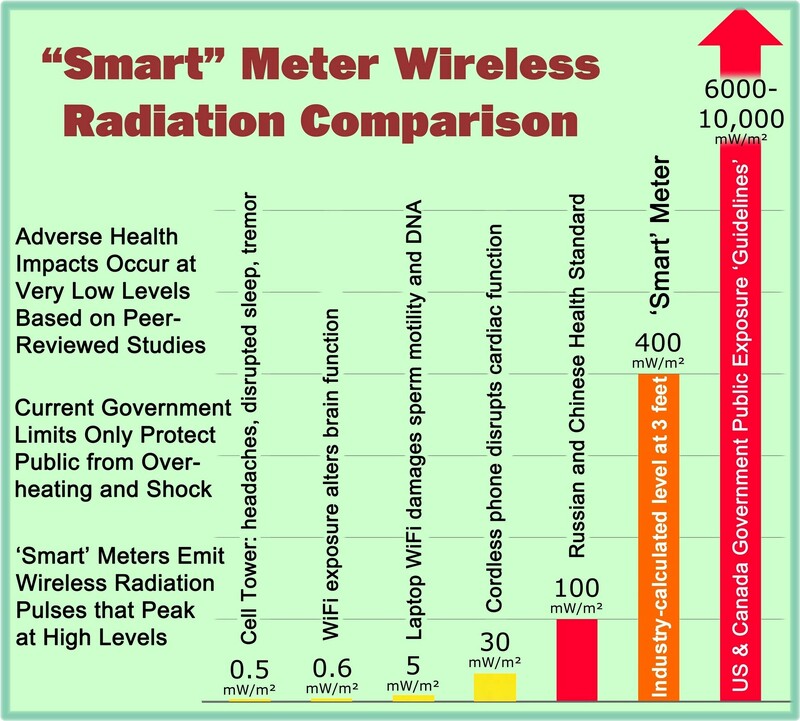 From a utility perspective, one major utility in 2014 had the courage to fight the narrative that smart meters would be a good technology platform for either the utility or the consumer; refer to https://smartgridawareness.org/2014/02/13/no-rational-basis-for-smart-meters/. One state (New York) is taking a more methodical approach, and I commend them for that. Please refer to article, “Smart Meters May Not Be Part of New York’s Electric Grid Vision,” at https://smartgridawareness.org/2015/06/09/smart-meters-may-not-be-part-of-new-york-grid/. I hope to soon write an update to this article and where New York officials more logically emphasize having desired functionalities rather than promoting a specific technology platform. ‘Unnecessary risks and costs to the consumer’ from smart meters include financial risks, cyber threats, invasion of privacy, safety, and health issues as collectively outlined in many articles at this site. In your comments you seem to place great emphasis on traditional usage meters under-registering power consumption. From all the information I have available, both analog meters and solid state meters measure “real power” in kWhrs. The utilities have all made a point to state that people’s bills should not increase just because they have smart meters installed (in response to billing complaints filed by consumers subsequent to smart meter installations). There has been a general acknowledgment that analog meters can “slow down” over the years and can eventually under-register real power consumption by up 1 to 2%. An EPRI report documents that tests have shown that 98.6% of traditional meters remain within + or – 2% of actual consumption. Many but not all of the new advanced meters do have the capability to measure “reactive power” to monitor the effects of poor power quality, but I know of no utility that has attempted to bill residential consumers for these effects in the United States or Canada. In practice, I believe that the above requirements (for a poor power quality surcharge-type fee) only have had applicability for commercial customers where industrial equipment such as large motors or pumps can substantially affect power quality. So although I realize and appreciate the effects of non-linear loads upon the grid system and other conditions that affect power quality, I don’t see utilities attempting to bill customers for these effects (or voicing a need for it) and thus I don’t see a need for each customer’s power quality parameters being measured through a smart meter. In fact, as a bit of irony, the smart meter is an electronic device generally containing a switched-mode power supply (SMPS) and thus represents an additional non-linear load being added to the grid for each consumer (negatively affecting power quality). [From SkyVision Solutions Website moderator: robagaco responded again with a detailed reply to my reply, and I will provide an edited, shortened version of the response with some commentary. First, robagaco appears to accept that several smart meter program failures have occurred but remains committed to them overall and that we just need to learn from this “faulty implementation.” I would say that for commercial applications, smart meters likely make sense; I just don’t see the benefits being able to exceed costs and risks for mass deployment for all consumers. “You might have not seen a utility ‘voicing a need’ for billing customers for non-linear effects on their grids, but the reference standards have and are changing and including newer limits, and research is being done to determine how serious the issue really is, so we may soon hear them voices. Or see a drive towards kVA hour metering, studying India’s example. The utilities have generally mentioned using advanced meters for voltage optimization and possibly measuring reactive power due to primarily non-resistive loads. For these parameters I never concluded that it was adequate justification for smart meters for all residential customers but rather that neighborhood measurements of these parameters were sufficient. robagaco is raising the additional issue of waveform distortion from non-linear loads and how he states this more significantly affects the accuracy of utility meter measurements than many of us including many utility companies may realize. I think this raises the questions of both whether existing advanced meters even account for this problem adequately and whether this is in fact significant enough of an issue for additional monitoring of non-linear load harmonics for each residential customer. And don’t forget, many utilities get a guaranteed rate of return on money spent on so-called “capital improvements.” So they have a perverse incentive to blow great wads of cash on the “smart” grid.